(Nanowerk News) The forward-looking technology of spintronics now has a new, highly effective investigative instrument: German physicists from Mainz and Berlin have successfully employed ultrafast terahertz spectroscopy to determine the basic properties of spintronics components (Nature Physics, "Accessing the fundamentals of magnetotransport in metals with terahertz probes"). 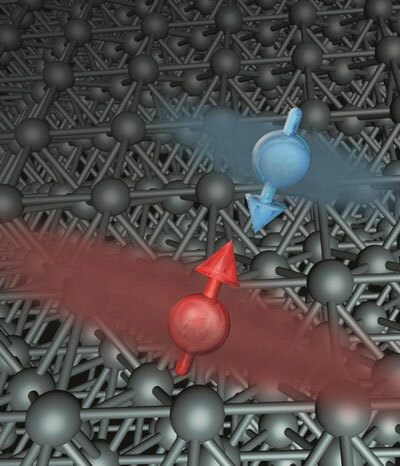 "We thus now have direct access to the most fundamental elements of magnetotransport," said Professor Mathias Kläui of the Institute of Physics at Johannes Gutenberg University Mainz (JGU). Spintronics uses not only the charge of electrons for the purpose of information processing but also their spin, or in other words, their magnetic moment. The principles of spintronics are already being employed in hard drive reading heads and sensors, such as those used by the automotive industry, and offer enormous potential with regard to the development of non-volatile memory systems.